The Carolina Maritime Model Society exists to promote the active participation in a craft as old as shipbuilding itself - the construction of wooden model boats. 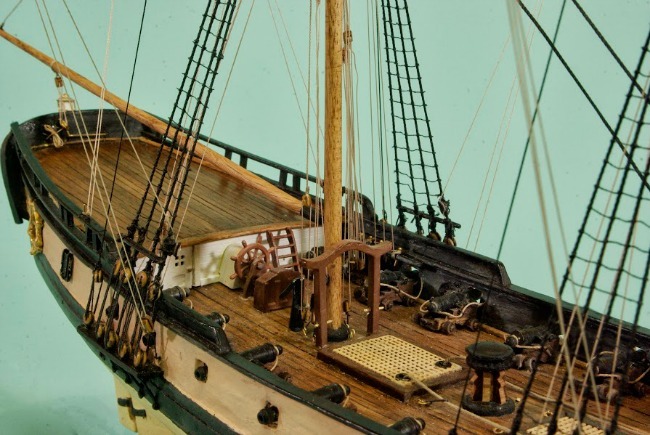 The Society encourages interest and active participation in the hobby, to improve the standards of members’ models through the free exchange of ideas, techniques and information, and to emphasize to both members and the public at large that research is the foundation for the production of ship models. The North Carolina Maritime Museum and the museum’s support group, the Friends of the Museum formed the Carolina Maritime Model Society in 1995. Today, the group is comprised of over sixty members. It’s the only such organization in the entire state and has become a major vehicle for widening public interest in North Carolina's maritime history and culture. The next meeting of the Carolina Maritime Society is September 27, 2014 at 2 p.m. The Carolina Maritime Model Society’s activities, combined with expanding educational programs offered through the Watercraft Center, have drawn enthusiasts into ship modeling. Carolina Maritime Model Society members mount a substantial, one-day exhibition in conjunction with the museum’s annual Wooden Boat Show each May which includes a pond for radio controlled models. This year, they will exhibit at the 40th Annual Wooden Boat Show on Saturday, May 3, 2014. Members also showcase their talents through a rotating exhibit entitled “Model of the Month." Winning models can be seen on display each month at the Harvey W. Smith Watercraft Center. Membership is open to all members of the Friends of the North Carolina Maritime Museum. In addition to a Friends of the Maritime Museum membership (starting at $35), the annual dues for the Society is $5. A newsletter is sent out to members and interested parties. Over the years the Carolina Maritime Model Society has used surveys to create a database of members’ interests and skills. If you are interested in joining the Carolina Maritime Model Society, contact the NC Maritime Museum at 252-728-7317. The group meets eight times a year. Additional dates for the 2014 meetings include: October 25 and December 6 (combined November and December meeting). All meetings are held on Saturdays and begin at 2 p.m. The North Carolina Maritime Museum is located at 315 Front Street, Beaufort, N.C. 28516. Tel: 252.728.7317. Visit the website at www.ncmaritimemuseums.com.